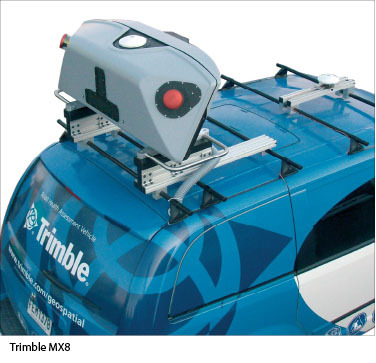 The Trimble MX8 Mobile Spatial Imaging System is an advanced mobile data capture system that combines imaging and laser scanning capabilities to measure objects in 3D to produce 3D, 4D and 5D data sets for spatial imaging projects. Expanding the scope of services that surveyors, engineers, mapping and geospatial professionals can offer to enhance their business, the system is ideal for as-built modeling, inventory, inspection, encroachment analysis, and asset management for roadways, bridges, railway, utilities, and other infrastructure. Produce decision-ready images in hours, not days! 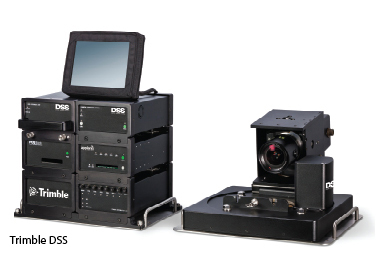 The Trimble Digital Sensor System (DSS) is a complete, turn-key airborne digital imaging system for the efficient production of highly accurate, high-resolution orthophotos and orthomosaics. Field-proven in the front lines of emergency response and commercial mapping, DSS is relied upon every day for aerial survey and remote sensing applications requiring a rapid, accurate, cost-effective solution. The Government of Lower Austria has implemented Trimble’s Inpho and eCognition software suites to develop an innovative new workflow for sound-wave propagation modeling that automatically detects and quantifies changes in forests, buildings, and water bodies using aerial laser scanning and orthophotos. The approach has been successfully applied over an area of more than 20,000 km2 with measured accuracy ratings between 94% and 96%, providing an information product that would be completely unviable and cost prohibitive to create manually. The approach utilizes approximately 30,000 raw data flight strips to derive 20,000 DTM and 20,000 DSM data tiles. Point clouds are classified using powerful filtering strategies, shade calculation, slope calculation, profile tools and other terrain algebra methods. Available breaklines are used to increase the quality of the terrain modeling, especially in challenging topographic areas. Finally, the DSMs, DTMs and orthophotos are fused for analysis, and land cover changes are automatically detected and quantified. The results are used within a sound propagation model for traffic noise under a European Union urban planning initiative.